A team of six MBA student consultants from Fisher College of Business’ Global Applied Projects (GAP) program recently completed a three-week study on behalf of the Global Water Institute (GWI) in Tanzania investigating several activities that GWI has been considering for its Sustainable Village Water Systems Program. As part of its systems focus on the sustainability of rural water access in developing countries, GWI first oriented the Fisher MBA student consultants on some of the core activities of its Sustainable Village Water Systems Program. The program is about boosting rural communities in developing countries with water as a starting point and environmentally sound economic development as the endpoint. But in the middle, people in rural countries like Tanzania lack many basic needs—basic sanitation, affordable energy, and nutritious food—that make a huge difference for survival. So GWI asked the Fisher MBA students to dig into two areas—solar mini-grids and post-harvest food processing—to learn about the current feasibility and economic potential to create sustainable development. A disproportionate amount of value was captured by middlemen, who take advantage of farmers’ lack of business knowledge and resources to offer artificially low prices for crops, which are then sold to food processors at inflated prices. Post-harvest loss of grain significantly contributed to loss of income for these farmers. In order to empower smallholder farmers, the GAP team explored an innovative practice known as harvest loans, pioneered by Swiss micro-finance NGO Helvetas. Instead of farmers selling their crops immediately after harvesting for urgently needed cash, harvest loans help farmers use their harvest as collateral, storing it at a micro-finance institution and obtaining a low-interest loan for the current value of the crops. 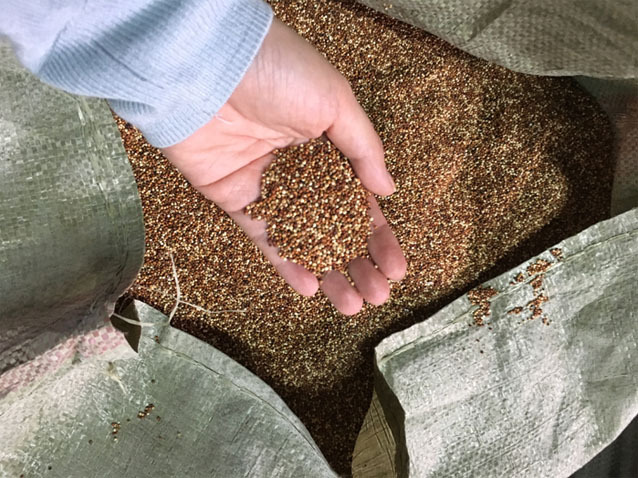 When the loan is to be repaid, the crops are removed from storage and sold at market value, which is higher than the initial value at the time of harvest. This allows the farmers to repay the loan principal and interest while pocketing the remainder, which the GAP team found was typically 50 to 100 percent of the value of the loan principal. In order to address post-harvest loss, the GAP team met with representatives from the Grain Post-harvest Loss Prevention (GPLP) project, another subsidiary of Helvetas. They suggested the use of a combination of reusable double-walled nylon storage bags and large metal storage silos to prevent spoilage, spillage, and consumption by animals, three of the largest factors in post-harvest loss. These measures, combined with community education initiatives, would have the potential to increase farmers’ revenues. After being trained on these techniques by GPLP in a pilot effort, the majority of farmers adopted improved crop storage methods over the next two years. This type of post-harvest management might also benefit others in the local economy such as local tinsmiths who build and sell metal storage silos. Solar Power: A Rural Development Solution? The student consultants also investigated the economics of currently available solar energy technologies in rural Tanzania. Although they found that small-scale systems on individual homes were beneficial for those who adopted them, their lack of scalability was a major hindrance to broader use. 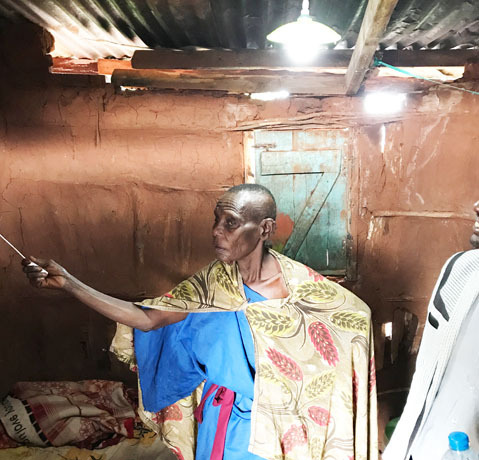 And in many cases, the customer base for solar home systems consisted of people with the technical know-how to site and maintain their own systems—not a typical skill set among the rural populations that the Sustainable Village Water Systems Program targets. At a larger scale, the GAP team found that current tendencies for implementing mini-grids used by NGOs and corporations often result in low adoption rates and project failure. One reason they found is that, in order to take advantage of economies of scale, these systems often build in capacity that is far greater than the actual demand for electricity. One notable exception is the startup Devergy, who provide rural households with power by allowing them to pre-pay for the energy needed to run a specific appliance for a specific amount of time. This is a much more intuitive billing format for an individual who may have never seen a utility bill. Devergy’s strategy for scaling up to more efficient village-scale grids is to first install individual solar panels for various residents, and once demand has risen enough in a village, replace the individual panels with a mini-grid. The team’s final report on both post-harvest economic challenges and solar mini-grids are available for download. 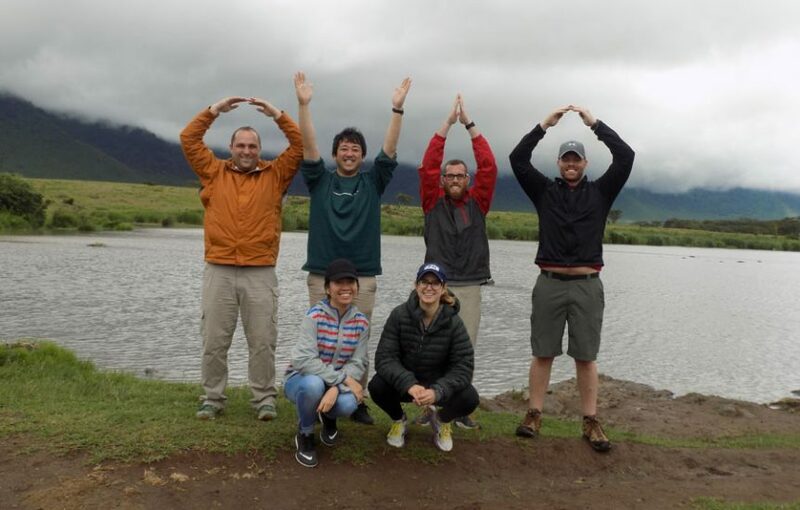 GWI is grateful to the members of the GAP team—Molly Clarke, Hanh Huynh, Eric Kempf, Justin King, Naofumi Takahashi, and Dan Winters—for their hard work in Tanzania and the valuable research that they brought back to assist the Global Water Institute.